Steps to campus in the closest condo complex to UCSD. Enjoy this Open & Light Tri-level Home with newer carpet and 1 Car attached garage with direct access to unit with Washer/Dryer. 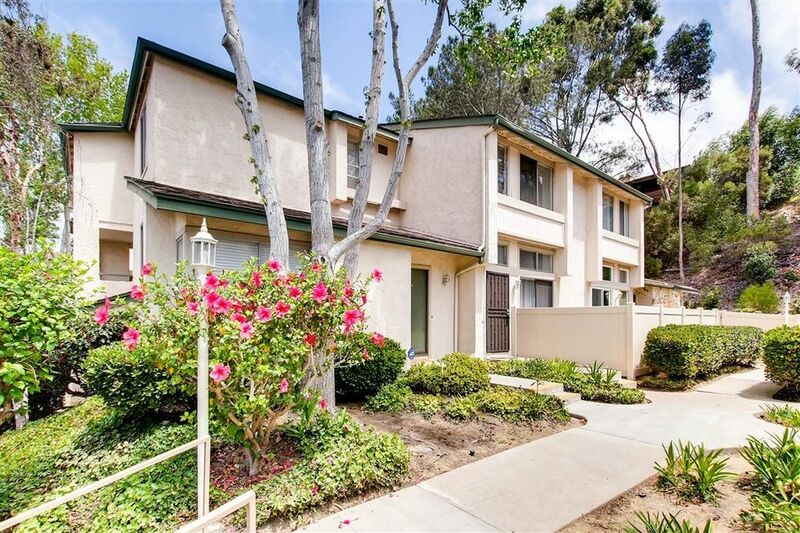 Quiet, Park like location within complex, near hillside and away from busy streets & freeways. One Balcony in rear over the garage and one exclusive use enclosed patio/yard in the front. Walk to La Jolla shopping and restaurants....Whole Foods, Trader Joe's, etc. Ideally located with in SD near UTC, La Jolla beaches & freeways!